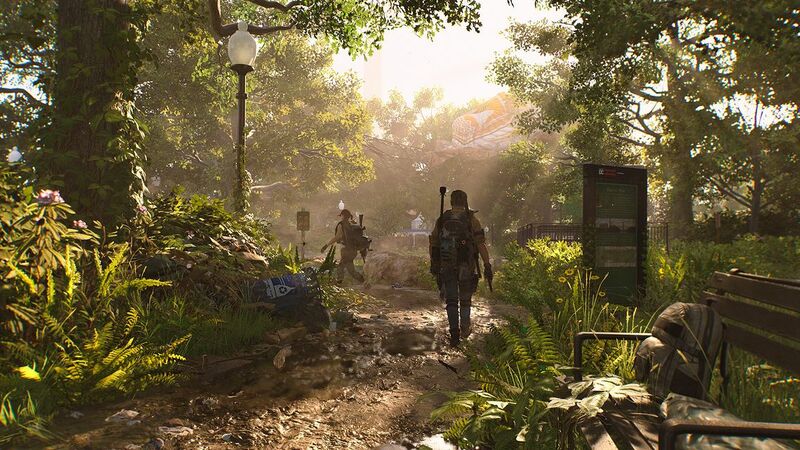 The Division 2 is a totally new game that immerses the player into a world you can get lost in. One of the major focuses the developers wanted to hone in on was how the AI acted and lived in this world while reacting to the players. In this new installment, we get enemies of different factions with their own personalities, tactics, gear, and activities. They’ve become tougher while being able to use different tactical approaches to take you down. And trust me, the animations when you get killed only make it worse. Even your allies have become a lot smarter. They actually fight back and can change from different tasks to take on any threat. Both your allies and your enemies have Living World Activities that they do. This comes down to enemies patrolling and allies gathering resources and patrolling. Each continues their routine if they encounter the enemy and come out victorious. Honestly, I loved following my allies on their activities. It’s literally a small adventure that gives you an insight into AI life in the game. All of these changes make the game feel close to home and a real joy to play!